Martin O'Neill has agreed to become the new manager of Nottingham Forest, making an emotive return to the club where he twice won the European Cup as a player. O'Neill has been out of work since leaving his role in charge of Republic of Ireland in November, and is seen by owner Evangelos Marinakis as the inspirational figure to reinvigorate a promotion push. Reports in England suggest that Roy Keane is set to join O'Neill as his assistant. O'Neill represented with Forest with distinction in his playing days, helping the club to win a Division One title and two European Cups during their glory years under manager Brian Clough. They're now ninth in the Championship table but are only four points off the play-off places. 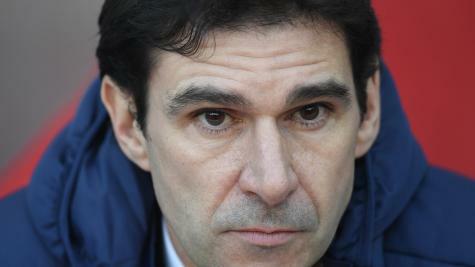 They weren't helped by Saturday's 2-0 defeat at Reading, where Simon Ireland had taken interim charge of the Forest team. Talks were conducted with O'Neill in London and Birmingham and an agreement reached quickly. The 66-year-old has emerged as the Championship club's preferred candidate on a shortlist which also included Slavisa Jokanovic and Carlos Carvalhal. Irishman O'Neill enjoyed success with Wycombe, Leicester and Celtic as a manager, before less fruitful spells with Aston Villa and Sunderland.